Danish architect wunderkind Bjarke Ingels has recently landed a couple of projects that justify the name of his architectural company BIG. 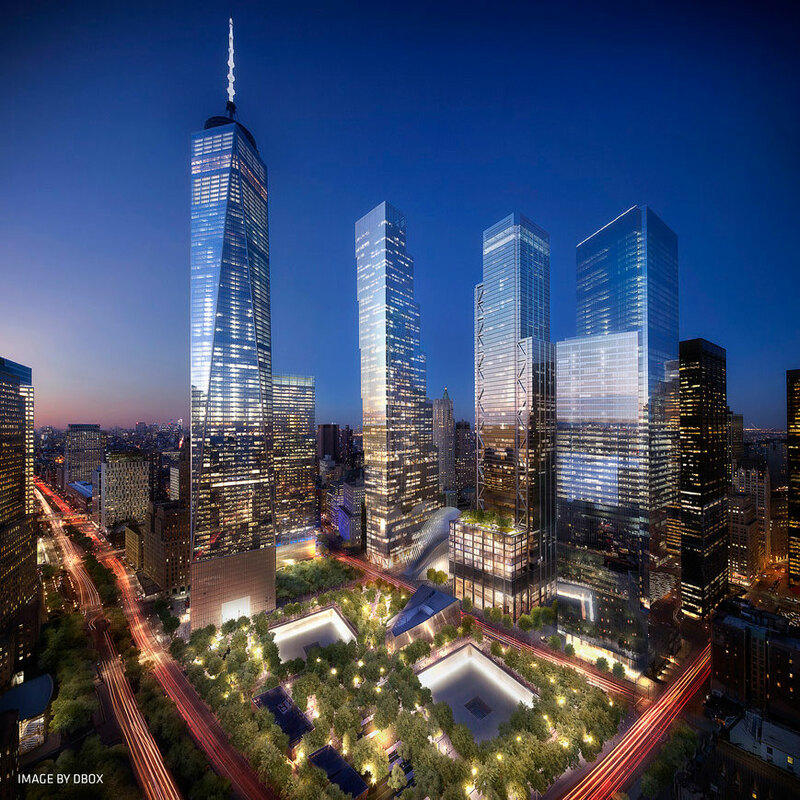 While he has long reached far beyond his home country of Denmark, the commission to design a new building at 2 World Trade Center in New York City, which was revealed on June 9th, will finally put him onto the world map of architecture. It will be his largest project to date, both in terms of height as well as the public exposure that building at this emotionally laden location brings along. In fact, one could say that there’s a generation change happening here. 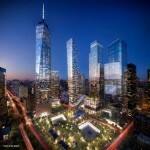 The former 2 World Trade Center design was created by British Architect Norman Foster, who just turned 80 this June. As an architect, he has arguably reached everything one could dream of. Bjarke Ingels on the other hand is half Foster’s age, 40, and still has plenty of time to catch up with him – and seems to have come quite far given his young age. The decision to hire him as the architect of 2 World Trade Center, replacing Foster, is in this respect a very interesting one. Just a couple of days later, on June 17th, Ingels won another “big” scale project, this time in Germany. 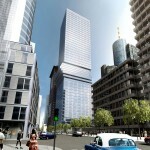 He will build a 185m tall mixed use tower in the financial district of Frankfurt. Coincidentally, his building there will actually be a neighbor of Norman Foster’s Commerzbank Tower. The unique aspect about Ingels’ design is the eight floors of apartments that are found at half the height of the building, while office floors are stacked both below and above the apartments. Ingels claims that placing the apartments like this relates to the “human scale”, though considering the proximity of the building to the Main Tower with its visitor platform at a height of 200m, it seems plausible that the apartments have not been placed at the top of the building to prevent insight into the apartments from the Main Tower’s observation deck. 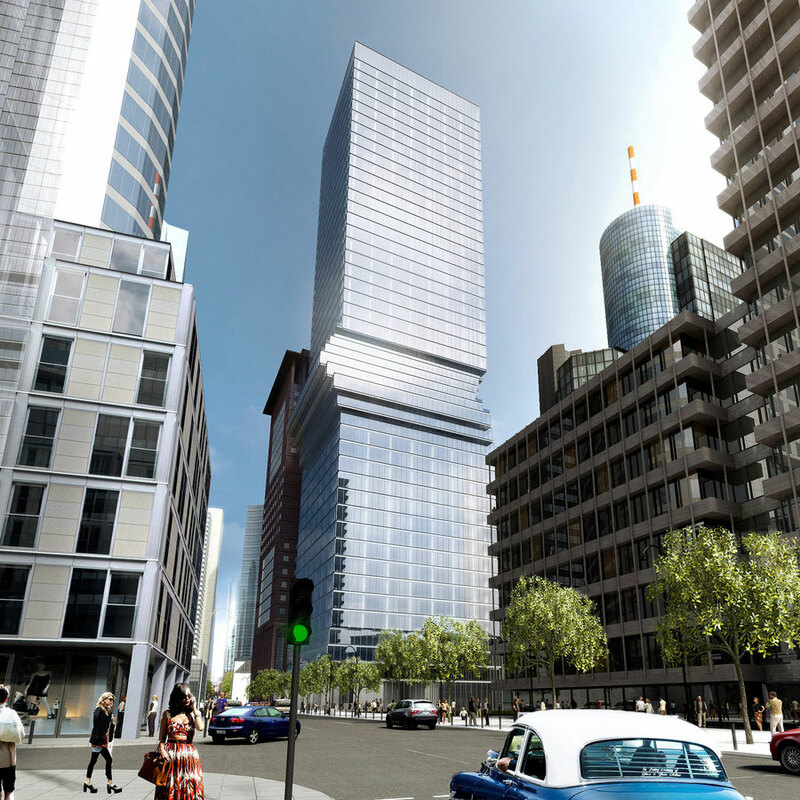 On a side note, this will be Germany’s first building mixing office and residential uses. Copenhagen-based architectural office BIG has a pretty unique approach on architecture and urban plannuing. I hope their Scala Tower in the heart of Copenhagen gets built, as this building alone would justify another visit to the city (hoping that next time we don’t have stuff stolen from our tents at night) – watch the video on page 64 of the presentation located behind the item SCA in 2007 on the BIG website. All content © by Tobias Münch.